ASTRONOMERS have managed to watch a star exploding and seen its resulting shockwaves for the first time ever. Scientists using NASA’s Hubble telescope spotted the supernova purely by “luck” when they were trying to observe another distant star. As a result, they produced a stunning animation which shows the full violence of the massive explosion. 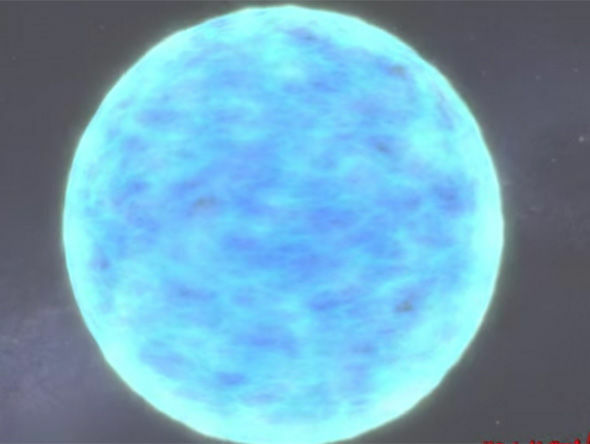 The phenomenal video shows the massive star KSN 2011a, nearly 300 times the size of our sun and 700 million light years from Earth, burst into life. The orange ball of light, which would have been around 270 times bigger than our sun, begins to simmer before patches of light blue begin to emerge on the star, which then explodes. The team actually saw two stars exploding, including the even bigger KSN 2011d, located 1.2 billion light-years away and 500 times bigger than the sun. 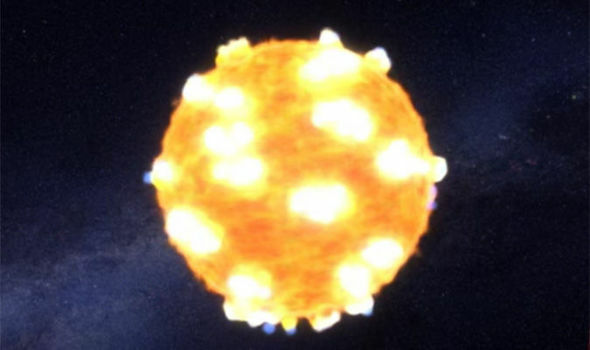 The last time scientists managed to observe a supernova in full swing was in 1604, coincidentally witnessed by Johannes Kepler, the astronomer the telescope is named after, when he witnessed one in our Milky Way. The shock-wave lasted about 20 minutes, but NASA and co have managed to condense it to a one minute animation. "They were actually looking at another exploding star and one happened to go right off in the exact patch of sky in the exact moment they were looking at it. It was the definition of luck. It's that singular moment when we can see the periodic table happening, when we can see the process of creating these new elements, and also see a switch from fission to fusion all at the same time because of this residual shockwave going through this star."